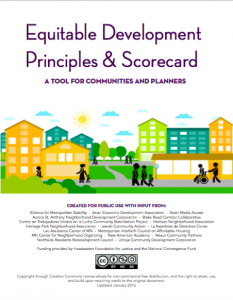 The Alliance partnered with the Harrison Neighborhood Association, Umoja Community Development Corporation, and members of the Community Engagement Steering Committee to create the Equitable Development Principles & Scorecard, which helps communities ensure that the principles and practices of equitable development, environmental justice, and affordability are available to all residents. Alliance staff convenes interested stakeholders and engaged leaders on a regular basis to come together and share their successes and learnings with the Scorecard. To be added to the group, please contact joohee@thealliancetc.org. Organizations and entities across the region are now adapting and using this tool to build power and accountability in their communities. 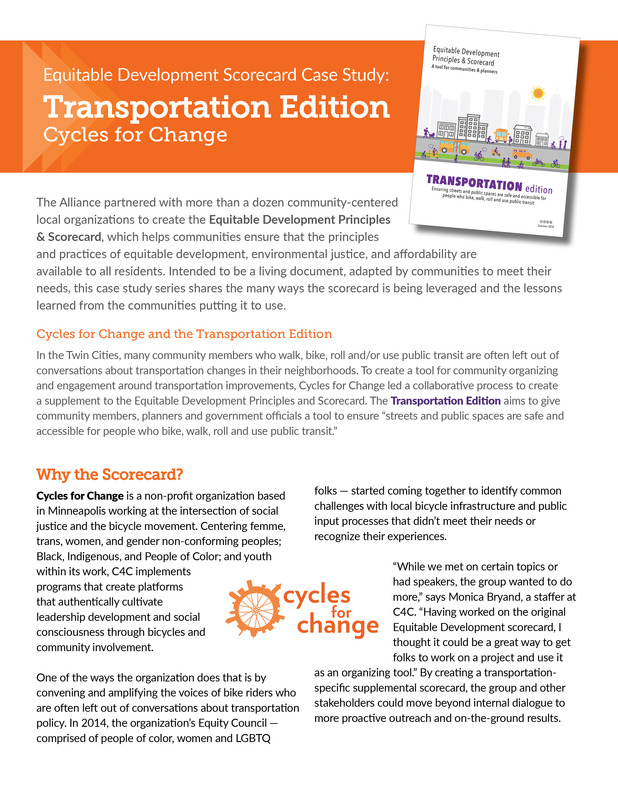 Read and watch the case studies below that share the many ways the scorecard is being leveraged and the lessons learned from the communities putting it to use! 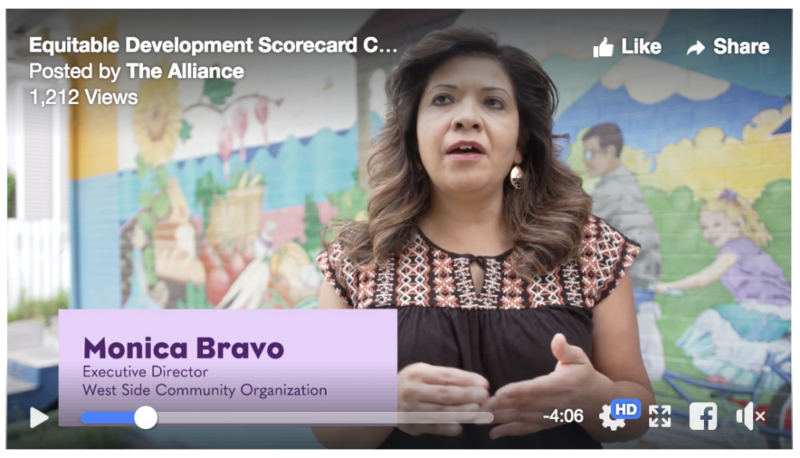 Watch a video that highlights how the West Side Community Organization in St. Paul is leveraging the scorecard to envision and implement equitable development in their neighborhoods. Download the case study or read it here! Water resources have strategic importance in achieving economic growth, competitiveness, and high quality of life — and collaborative partnerships can improve community health and resiliency. 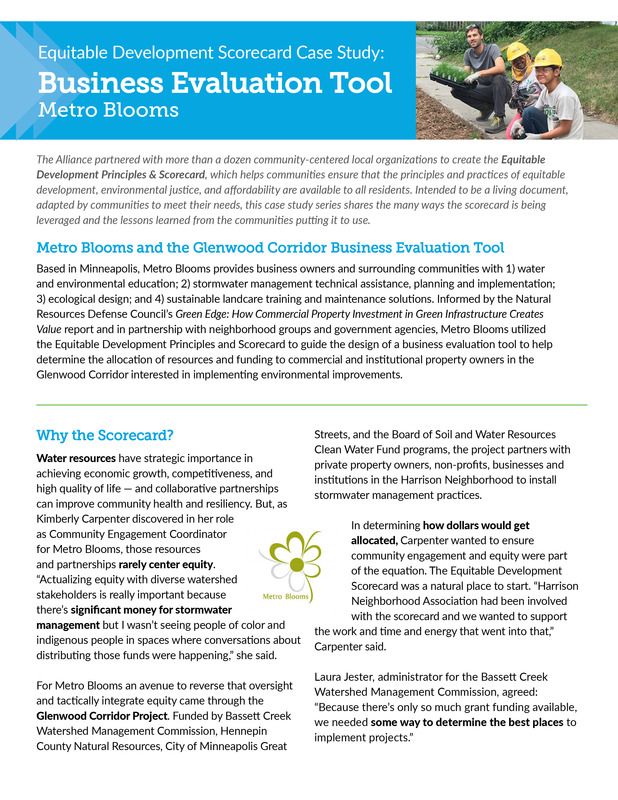 But, as Kimberly Carpenter discovered in her role as Community Engagement Coordinator for Metro Blooms, those resources and partnerships rarely center equity. “Actualizing equity with diverse watershed stakeholders is really important because there’s significant money for stormwater management but I wasn’t seeing people of color and indigenous people in spaces where conversations about distributing those funds were happening,” she said. 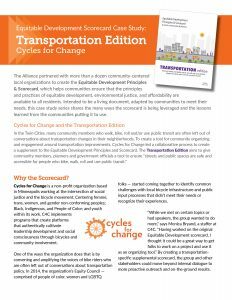 Download the Scorecard to use in your community!